When I planned a 70 day road trip across the Northwest United States for late Spring/early Summer, I knew that we would maybe run into a few patches of snow along high elevation trails. Nothing prepared me though, for the never-ending open fields of deep snow that covered so much of Crater Lake National Park. Even down in the lower elevation of the campground we found small patches of ice and snow, but higher up, it was a virtual Winter wonderland of fun and incredible views. Crater Lake National Park is home to one of the most pristine lakes in the United States. Nestled deep into a crater caused not by a meteor, but by the eruption of a volcano some 400,000 years ago, this deep blue lake is bordered with hues of green and lighter blue too. Wizard Island stands in the middle of the lake, keeping a silent watch over park goers, and in early Spring, a lonely small iceberg can occasionally be seen breaking the calm surface of the water to float off across the distance. During this time of the year, much of the park is closed. The West Rim Drive is still open in most places though, providing ample pull-offs and scenic overlooks for those who just can't get enough of this mountain lake and the surrounding countryside. Crater Lake is located at an elevation of 6,178 the visitor's center is just down the mountain from the lake and provides an educational video about the lake itself, as well as information about the park. Further up the road is Rim Village, where there is a lodge, gift shop and small cafe area too. One campground is open in late Spring/early Summer. The Mazama campground is located near the Annie Spring entrance of the park, and is quite a mess this time of year with downed trees, but does provide a place to stay within the park. There are fee showers at the store near the entrance of campground, and bathrooms with flush toilets and running water within the campground. Some spots are available with electricity for an additional charge as well. None of the park's trails are officially open at this time, but there are many areas that you can explore on your own if you are willing, including the Pumice Desert that is near the park's North entrance. If you are like us and from a warm climate where snow is not frequent, there are ample opportunities for playing in the snow. Much of the park at higher elevations is covered in deep snow, and the boys had a great time making snowmen and having snowball fights. The snow also makes an incredible backdrop for sunsets that are among the most vibrant I have seen. At one point it was like fire lit up across the sky. During mid to late Summer, Ranger programs are in full swing, and hiking trails are open. The Cleetwood Cove trail is the only opportunity visitor's have to actually walk down to the lake's edge and even take a swim. Crater Lake National Park is a beautiful park with majestic views. Even in the off season, there is plenty to do and explore in the spacious mountain park. 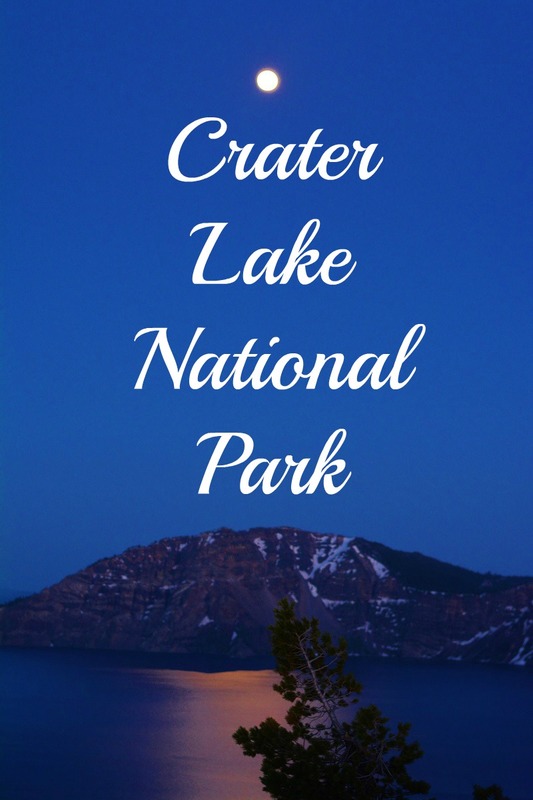 For more information on camping or the park itself, you can visit the Crater Lake National Park website. These pictures makes me want to make a trip there myself. Your kids look like are having a blast on this trip. I'm so glad you are having a good trip. Wow..be safe and have fun! I want to go there! You and your boys looks like you had a blast! That's one of the most beautiful places I've been as a child. We went in mid-summer and the views were just breathtaking. Your photos are glorious! I will surely keep Crater Lake National Park on my bucket list. The pics are beautiful! Looks like a fabulous place to visit with the family. I'd love to visit one day. What fun! And your photos are stunning! It's so funny to see snow when it's so warm here. Looks beautiful! That is absolutely beautiful! I would love to do a trip like you are doing!! It looks gorgeous! I so want to take a road trip! Even though much of the area was closed, it looks like you still had plenty of fun. I hope that snowball didn't hit you! What a beautiful stop along your journey. Snow in summer only makes everything that much cooler.